If you’ve recently decided to list your home on the Ottawa real estate market, then you’ve come to the right housing market website! Today, I’m going to tell you about how you can expertly stage your home to make it look bigger to potential home buyers. And that’s not all. There are several more benefits to staging your home as well. For instance, staged homes also appear cleaner and more inviting and also usually get more money than unstaged homes. So take to heart these suggestions! They could end up helping you turn a nice profit on your property in Ottawa. Emphasize views. Generally speaking, buyers initial impression of a property can rest in their impression of the very first room they see. So make sure that you make the most out of their first impression by making sure that they can see the great outdoors from various rooms in the house. This will give your home a more inviting feel and will also let plenty of light in. Declutter your home. We can’t say it enough: If you want your home to give the best impression possible, then you need to declutter your home. By doing so, you help the buyer appreciate your home for what it really is instead of getting sidetracked by all the clutter. Neutralize the space. In other words, while you might have very particular tastes, you want to make sure that your home appeals to the masses. 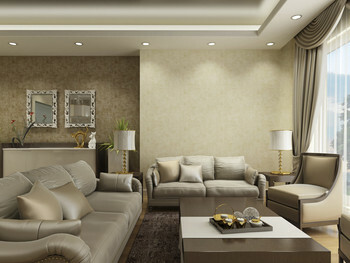 So generally speaking, go for neutral colors and nothing too outlandish as far as interior design items. This may turn off buyers so you will want to avoid them. Make your home easy to navigate. Improve traffic flow throughout your home by making sure there’s a clear pathway within rooms as well as from one room to the next. This may entail removing oversize furniture that probably wasn’t appropriate in your home to begin with. Highlight Impressive features. Whether it’s a gourmet kitchen or floor-to-ceiling windows, you want to make sure that your best features are put on display for buyers. So make sure all of the lights are on and that you set up vignettes where appropriate to help buyers visualize enjoying those features themselves. You might even consider leaving comment cards by the features, explaining what makes them so great. As you can see, a lot of these tips should cost little or nothing to you. And yet, they can make a world of difference when you’re trying to sell your home. Contact us today to learn more about how we can help you sell your property in Ottawa. We’d be happy to help! If you’re a home seller, you’re probably hearing this everywhere you go: Now is a great time to have your home listed on the Ottawa real estate market. After all, the weather is warming up and more and more home buyers are flocking to the Ottawa housing market looking for their next dream home. But there’s a difference between simply listing your home on the market and proactively taking steps to ensure it sells quickly and for the right price! Today, I’m going to share with you four tips for making sure your home sells fast. Don’t neglect the curb appeal. You’ve been hearing it from your mom since you were little: First impressions matter. The same holds true for real estate listings. So make sure that buyers are impressed by your home before they ever step foot in it. Make sure you replace chipping paint, trim back overgrown bushes and mow the lawn. Every detail counts. Then, when you think you’re done, have you and a friend go stand at the curb and look at your home. Try to look at it through the eyes of a buyer. Take further action as needed to make sure your home is being presented in the best possible light possible. Make all necessary repairs. Don’t wait until the inspection report comes back to do the things that are obviously in need of repairs. If you notice them, chances are your buyers are noticing them too. And some of them might be deterred from considering your home further because of such issues. So fix the leaky faucet, recaulk the windows and address the chipped paint on the baseboard. They’re small details but they add up. Stage your home. We’ve said it before and we’ll say it again: Staged homes sell for a higher price and in a shorter amount of time than non-staged homes. By staging a home, you’re making it feel larger, cleaner, warmer and more inviting. So stage your home by giving it a thorough cleaning, decluttering where you can and setting up vignettes to help your home buyers envision living there. And believe me, you want them to linger as they daydream about living there. The longer they stay in your home, the more convinced they’ll become that this is the home for them! Get the word out. This is crucial. You can have an incredible home listed on the market and if you don’t adequately market it, no one will ever find out about it. 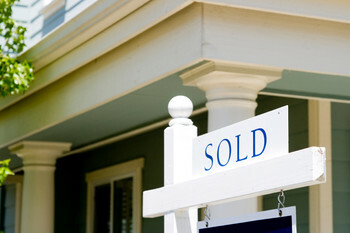 So put out a For Sale sign, list your home on multiple real estate websites and even advertise the home on social media. Every little bit counts. And don’t forget: If you do list your home online, make sure you include multiple pictures. Buyers like to be able to do a virtual walk through of homes before they ever schedule a showing. So make sure you include plenty of pictures and make sure those pictures are presenting your home in the best light possible! We’ll Make Sure Your Ottawa Home Gets Sold! We hope you found the above information valuable as a prospective home seller. For more useful tips that will help ensure you a successful outcome on the local housing market, make sure to contact us, Geoff & Bobbie McGowan. We would love the opportunity to assist you in any way we can! Congratulations on recently deciding to list your home on the Ottawa housing market. As you may have noticed from my recent blogs, it really is a great time to be a home seller as you stand to get a great price for your property. But I’m sure you still have some questions you want answered before you attend the final closing. Thus, I’ve compiled a list of three commonly asked closing day questions. Hopefully they will be of help to you! What identification will I need? The Law Society of Upper Canada requires that lawyers retain photocopies of two pieces of identification from each client in the file. One piece of identification must be photo ID. In lieu of a driver’s license or a passport, you can also use an Ontario Photo Card. What Do I do if I’m not going to be in Ottawa for the closing date? There are a variety of reasons you might be out of town on that day, including vacation or the relocation to another city. But if the lawyers and agents have all of the information required for the transaction (such as property details, the buyer and seller information and mortgage instructions where applicable) then they will most likely send the documentation to a solicitor or notary in the city where you are so you can sign the documents in front of them. Of course, there’s the possibility you won’t be at a place where you can sign them in front of a solicitor or notary. In that case, the lawyers can set up a power of attorney for purchasing or selling a certain property. What do I do with my keys on the closing date? The new purchaser will get the keys to the home between 2 p.m. and 5 p.m. on the closing date, depending on a number of factors. These include mortgage funding, courier delivery of keys and/or registration on the online system. Contact Us For More Home Selling Assistance! 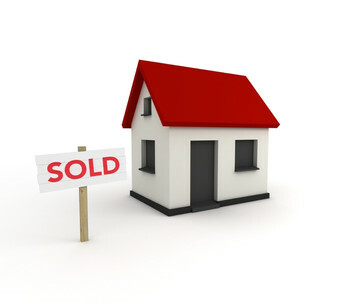 To receive help for every stage of the home selling process, please contact us, Geoff and Bobbie McGowan today. We will be happy to assist you by answering any questions you might have as well as providing you with some valuable home selling resources. Are you thinking about listing your home anytime soon on the Ottawa real estate market? If so, then you’ve come to the right blog! Today, I’m going to provide you with a step-by-step guide to selling your home. You’ll be attending the final closing of your Ottawa home before you know it! Get your home ready for the market. This includes giving your home a thorough cleaning, removing any excess clutter from your home that takes away from its beauty and ensuring that your home even has curb appeal. Find a REALTOR®. But don’t just pick anyone! Make sure that the real estate agent you work with not only has experience with helping home sellers but also helping sellers in your price range and (ideally) in your neighborhood. The more they know about the market the better! Decide on a list price for your home. Take into accounts such factors as market conditions and interest rates. And be honest with yourself about how much your home is really worth. Too many home sellers overprice their homes and then wonder why it’s still sitting on the market more than 6 months later. Get maximum exposure out of your home marketing. Don’t just print an advertisement in the newspaper or post something on Craiglist. Make sure that your home marketing is comprehensive and is reaching all available and qualified buyers. 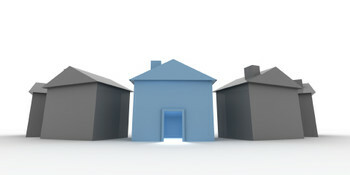 Your real estate agent can help create a tailor-made marketing plan for your home! Negotiate a purchase offer. Okay, so you’ve received an offer from a buyer – now what? Make sure that you carefully consider the offer because it’s harder to back out once you sign on the dotted line. 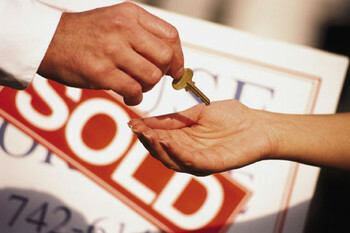 Talk it over with your real estate agent to see if you want to negotiate any areas of the offer. Sign on the dotted line. 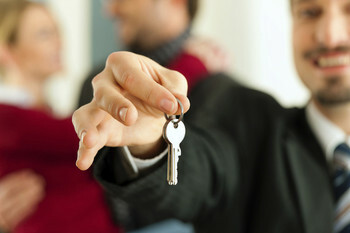 Once you’ve signed the contract with your buyer, you’re that much closer to attending the final closing and moving out. Now all that’s left is a few more steps, including passing the home inspection. Your real estate agent can help coach you through that process. Plan your next move. Before you’ve handed over the keys to the buyer and complete a successful home sale, ask yourself where you want to go next. Do you want to downsize? Move to a different city? Get a bigger home? Talk with your agent about the best option for you and your family. We hope you found this information helpful as a home seller. For more valuable tips on expertly navigating the market in Ottawa, please contact us today. We would love the opportunity to assist you!